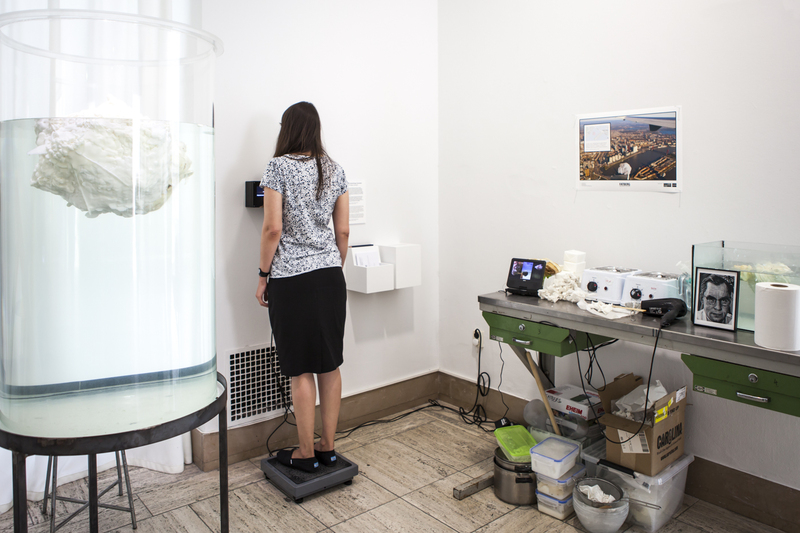 FATBERG is currently residing at Museum Boijmans van Beuningen as part of Design Column #10: Crazy Care. The welfare state is under pressure: education, employment, social security, and now the most recent problem – care. There are more old people than ever, and increasing longevity means they use the care system for longer. There are hundreds of rules, exceptions, grants and policies in place to streamline and regulate the system. When does a safety net become suffocating web? The new care act introduced in 2015 changed the organisation of care. The new rules focus on the biggest common denominators because the effect is greatest there. The consequence is that people with special care needs, such as the disabled and those with chronic illnesses, are left out in the cold. Is the government lacking in solidarity, do friends and family not care for their loved ones, or is the real problem the fact that we are all living in a system that is extravagant and no longer sustainable? We pile one change on top of another, but shouldn’t we be concentrating on the heart of the problem and looking for simple, clear ideas? Design Column #10 Crazy Care shows how an innovative idea can revolutionize health care. In the sixties, American diet guru Ancel Keys popularised an index for measuring obesity by dividing a person’s weight by the square of their height. Since the late nineties we know this index by the abbreviation BMI – Body Mass Index. The isolation of our adipose tissue from the rest of the body, and its subsequent judgement of our health prospects, turned fat into an entity that was both familiar, yet foreign to us, defining fat as something “other”, rather than “of” us. If anything, fat became a product to consume or discard. In 2007 it was calculated that the global human population had accumulated 15 million metric tonnes of excess fat, but what does this mean? The BMI Pledge Calculator, a new addition to the FATBERG exhibition at Design Column, proposes an individual quantity of fat to be donated towards the growth of the FATBERG.